How many times you’ve heard it on the streets of Thailand? In Bangkok, Phuket, Krabi and of course here on Koh Phangan – at every street and on every beach you will see lots of places that offer Thai massage. The offers vary rom a fancy to a simple bamboo shed. So what to choose? And how different can be your experience? Thailand is believed to be home to the best massages in the world. That’s an experience you should not miss out. So if you wonder how ancient these techniques are – pretty old. It is believed to be brought to Thailand buy a doctor of an Indian king 2.5 thousands years ago. And it was always and still used in conjunction with other traditional medicines. There is no strong evidences if Thai massage benefits health. But at least it can be relaxing – for example to get a foot massage after a long day of walking, or a whole body massage after training or hiking. It relieves stress and tension in muscles which is especially good during travel. The price will really depend on what place you choose to go to. You can get an amazing, one-hour Thai massage for 200 THB right on the beach. Or you can go to real SPA and pay there up to 500 THB. Getting a massage can be intimidating. Many of the masseuses do not speak any English, which can be pretty awkward. Usually (if it’s not a bamboo shed) you will get a shirt and pants to change into. Unless you are having the oil or aloe vera massage – there you will have to undress. you will be pulled and stretched pretty hard. The masseuse will use his or her body – including elbows and knees. Some might even walk on you. 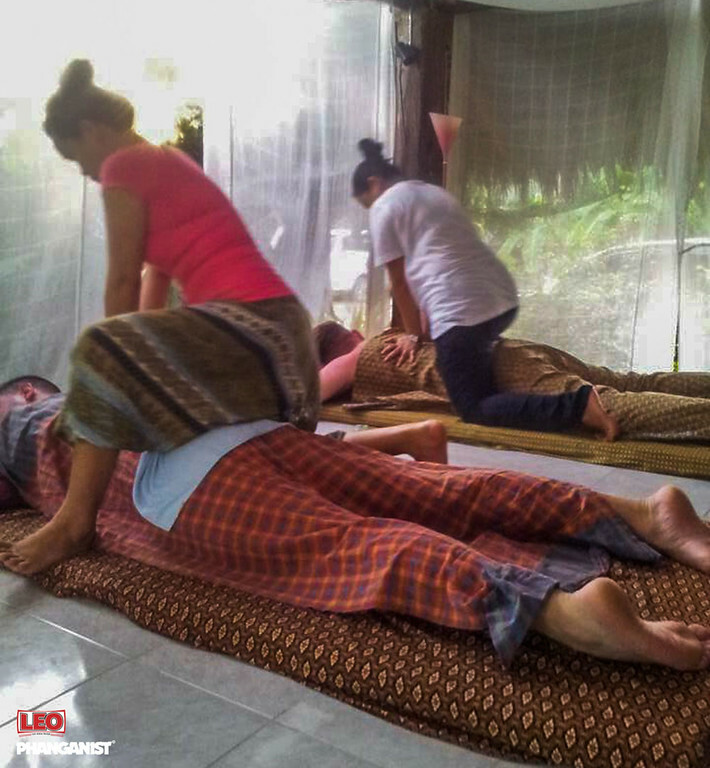 And you probably could feel some pain – as Thai massage is not just gentle rubbing and touching. If you start to feel that it is to much – tell your therapist that it hurts, so he or she will understand. Happy ending in Thai massage has nothing to do with living happily ever after. If you want to avoid any awkward encounters with service you don’t want – stay out of shady areas and red light districts.